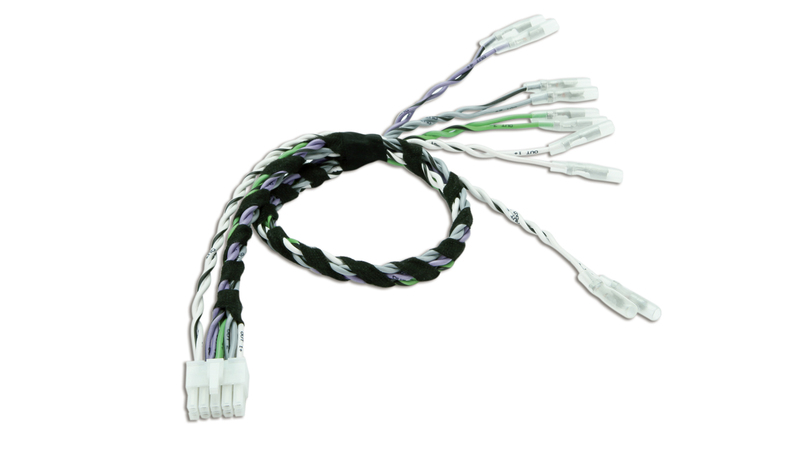 AP SPK OUT 5.9 cable is dedicated to the connection of the AP5.9 bit amplifier with the input/output Extension cable. The Plug&Play connectors with circle terminals are numbered (“CH1 +”, CH1 -“, etc…) for a foolproof connection. There is no need to solder any cable. For maximum ease of connection. For foolproof connection to the Extension cable. Dedicated to AP5.9 bit amplifier.